Listen I love heavy make-up but only if you are on stage, camera, or it’s Halloween. I’ve been in Atlanta the past two days and have been SHOCKED by how much make-up I’ve seen. Ladies- you are aging yourself with all of this foundation and dark eyeliner!!!!!! I was flipping through Jezebel’s 50 Most Beautiful Atlantans (local mag) and I couldn’t believe that the 39 yr old-looking woman was actually 23. WHAT!!!!! Here are a few tips to looking gorgeous and looking your age and not your age +10! Undereye cream and face moisturizer should be your best friend. I always start and end my day with these two items. Try Juice Beauty. #4. CHOOSE ONE FEATURE TO FEATURE!!!!!!! You can not play up your eyes and your lips. I think there are three things you can choose: eyes, lips & cheeks. Pick one and go for it. If you go heavy eye- everything else should be neutral. Bright lip (red, hot pink, dark berry)- cool it with the eyeliner. I love a rosy cheek but you can’t do rosy cheek and a bright lip (you’ll look like a doll) but you can throw in a heavy brow. Try Nars. Smokey eye are super hot and can make you go 0 to 20. Just realize you can do smokey with metallic brown, purples, and greens. Don’t go all the way up to the brow line…leave some room to work with. And I suggest smokey for nighttime. It’s a lot to be roaming around in daylight with this look. Also be wary of black liner for all of you blondes out there (Pamela Anderson- yikes). Try Too Faced. I LIVE for lashes. Just make sure you don’t have on tooooo much mascara. And if you rock the falsies make sure they are perfect for your eyes. (I prefer whipsies and more natural looking lashes). Try Georgie Beauty. Once again a favorite of mine but don’t bronzer your whole face!!!!! 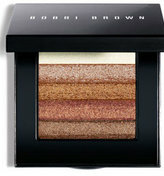 It’s purpose is to highlight you cheekbones and give your face a little color. Don’t try to change the look of your skin (and if you do self tan pretty please). Try Benefit. Not everyone looks good in bright lipsticks. Make sure you find a shade that looks great with your hair and skin color. I think you should have one great natural color, a beautiful berry shade. And if you are daring a lovely red. Try Laura Mercier. Tags: beauty, beauty products, beauty tips, natural beauty. Bookmark the permalink. Love this piece! As a fair skinned, blonde haired gal I’ve always wandered how to bring out my eyes without the black eyeliner- any recommendation for specific people or makeup counters to visit in NYC where the artists really know what they’re doing so I can learn more?? Well said. I was flicking through some of my old facebook photo’s (that pretty much break every single one of these rules) the other day wondering what the hell I was thinking. When you step out with slap on, people shouldn’t be wondering what you actually look like, the POINT of makeup is to enhance, not to give yourself a brand new face. AMEN!!! Perfectly said!!!!! Enhance not remake!